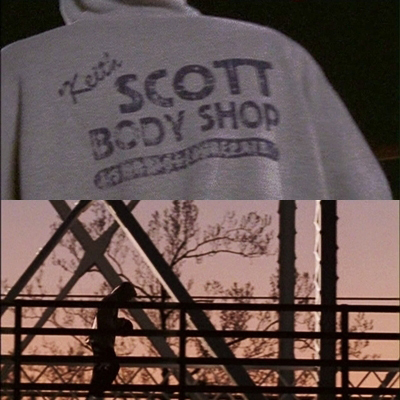 1x01. . Wallpaper and background images in the Lucas Scott club tagged: kackahaluzova. This Lucas Scott fan art might contain chainlink باڑ and چینلانک باڑ.